Preheat oven to 375 degrees. Cream the butter, sugar, vanilla, and salt. Add the eggs, beat until fluffy. Gradually add the dry ingredients. 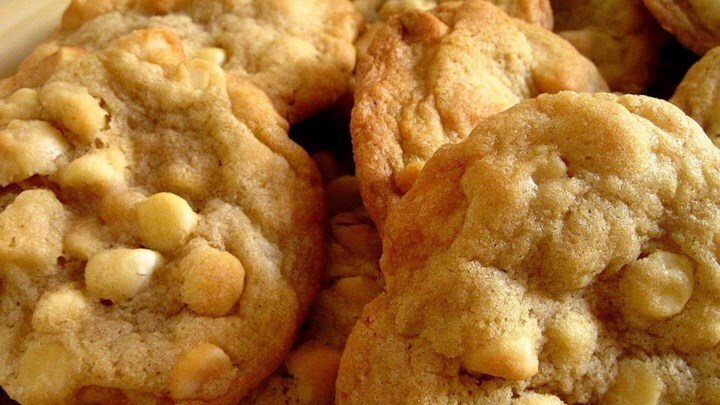 Stir in the white chocolate and macadamias. Cover with plastic wrap and refrigerate the dough for at least an hour. Roll into balls and place on silpat or greased cookie sheet/foil. Bake 8 to 10 minutes (adjust as necessary based on actual size of your cookies). Let cool for a couple minutes, then remove to a cooling rack to finish cooling. Makes about 3 dozen.